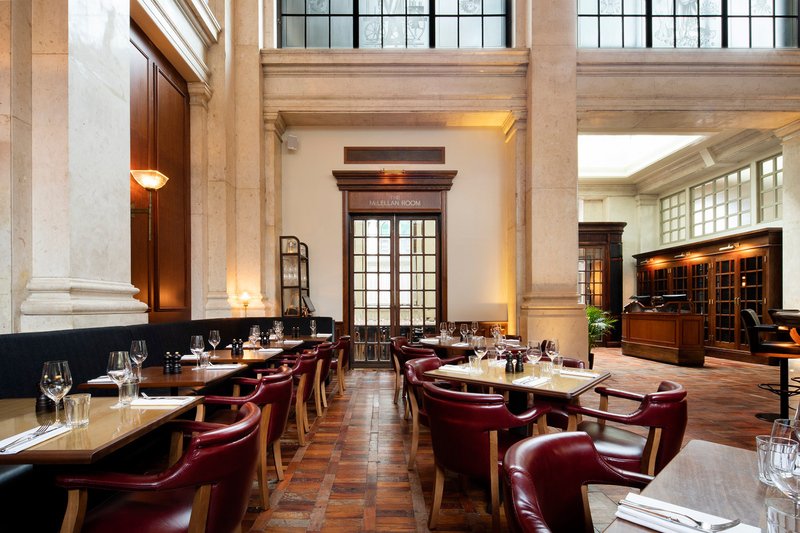 Macaulay Sinclair has converted a 1930s banking hall in Edinburgh into a restaurant for London steakhouse Hawksmoor that retains many of the original building’s Neoclassical features. 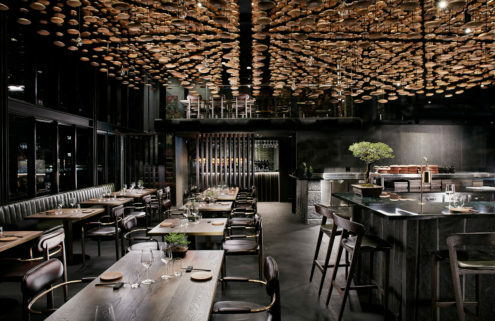 The 160-cover restaurant occupies a vast hall on the ground floor of a Grade A-listed building, which was once the Royal Bank of Scotland’s global headquarters. 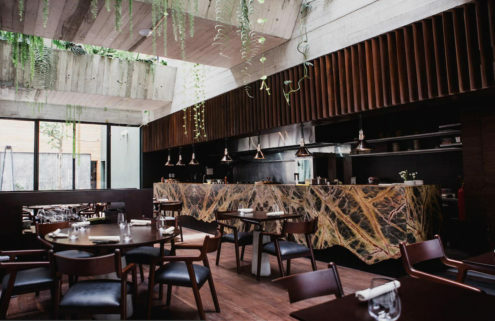 The building was unoccupied for several years before local developer Lateral City began an adaptive reuse project that provides 50 serviced apartments, alongside the restaurant and a bar on the fourth floor. 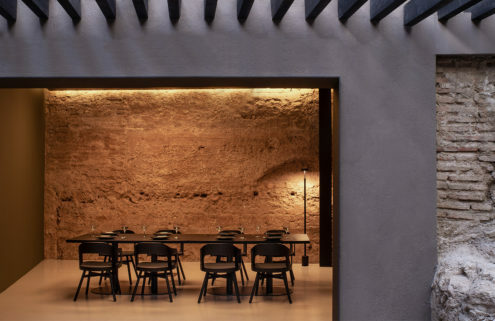 Macaulay Sinclair’s design seeks to preserve the character of the impressively proportioned space, which was influenced by the Neoclassical styling of early 20th-century American banking halls. 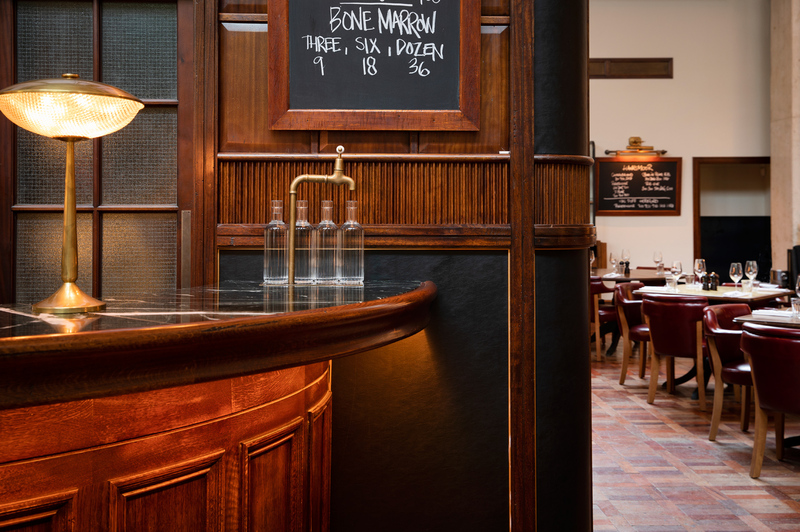 The designers sourced reclaimed furniture and parquet flooring to complement the room’s original features, which include repurposed doors that were updated with reclaimed brass ironmongery. The hall’s eight-metre-high coffered ceiling is supported by restored limestone columns, both of which can now be viewed up close from a new mezzanine level. 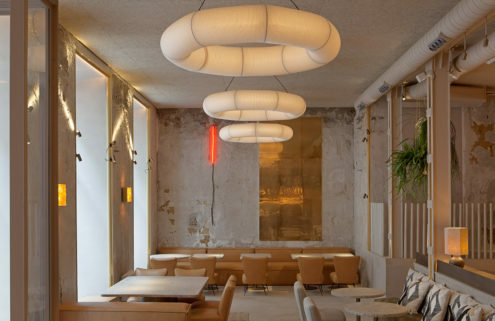 Carefully sourced lighting from a Dutch Art Deco hotel introduces an authentic 1930s feel to the space, while tables made from old school laboratory countertops introduce a further layer of patina and heritage to the restored interior.